When learning a new language it helps to have mini-projects to keep you focused. 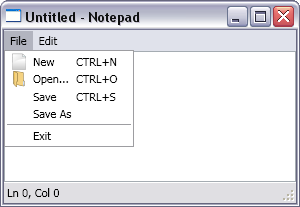 This is my first mini-project; notepad in WPF. This brings together ideas from my previous two posts into one application. Full source code is attached.